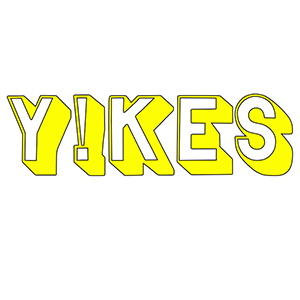 Y!KES are a new alternative rock band from Birmingham. 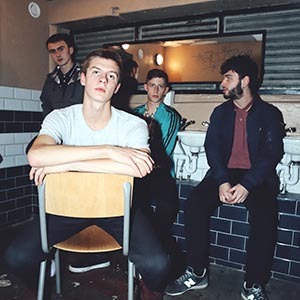 Since forming in January 2019 they have released two singles/videos, their debut being the highly well received ‘Uncanny Valley’. The singles, produced by singer Joby Fitzgerald and recorded by Magic Garden Studio’s Gavin Monaghan, are a showcase of the band’s ability to bring together frantic guitar licks, gritty vocals, huge drums and cutting lyricism. The videos are both miniature features – one a horror short and one a comedy short – which show off the band’s visual creativity as well as highlighting the energy and rawness they bring to the stage with them. They are two out of five singles planned to be released this year, the third already being in the final stages of preparation ready for Summer 2019. The band have just completed the ‘Arch Nemesis Tour’ with VEDA, the last show of which saw a sold out headline show at the Sunflower Lounge, Birmingham. They have plenty more dates lined up for this year, including slots at Your City Festival and Hard Rock Hell. They are additionally planning another national set of live dates. EARLS are a two-piece “alternative punk” band from the Midlands. 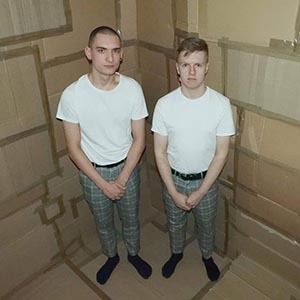 Forming in 2015, they have cut their teeth on the Leicester music scene and are now looking to expand their reach after signing to Earwig Records, an independent label, and releasing their debut album ‘Cardboard Palace’ (2019). EARLS are Anthony Lamb on guitar and lead vocals and George Prosser on drums. Their number may be few, but they make more than enough noise. They are a band to look out for in 2019.